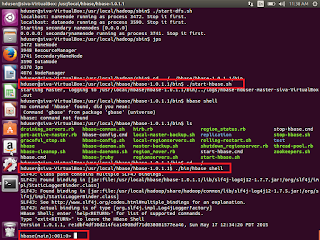 This post will explain you abou HBase Compactions, how to install HBase and start the Hbase, HBase Basic operations. 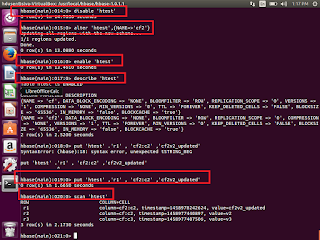 How to load data into HBase using sqoop. a). Each store consists rowkey-ordered files. b).Immutable- more files accumulated over time. 4. In a minor compaction, files to compact are selected based on a heuristic. 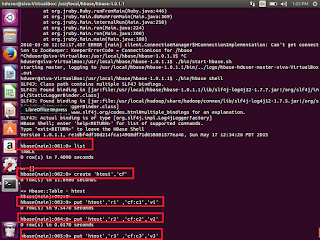 How to install HBase and start the same. 2. Once Downloaded, then try to un tar the same. We can see the shell window to work with. Try to enter list. It will show you list of existing tables. 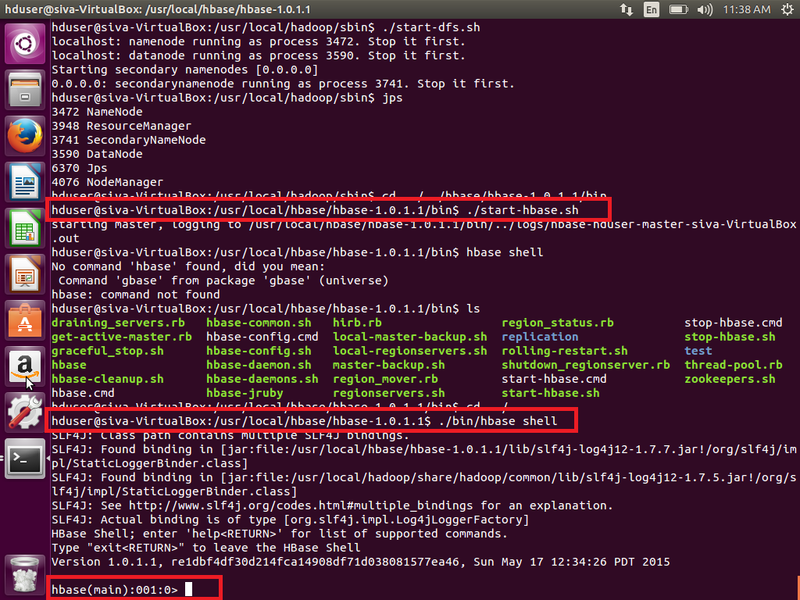 If we are able to execute this command means our hbase started successfully without any issue. 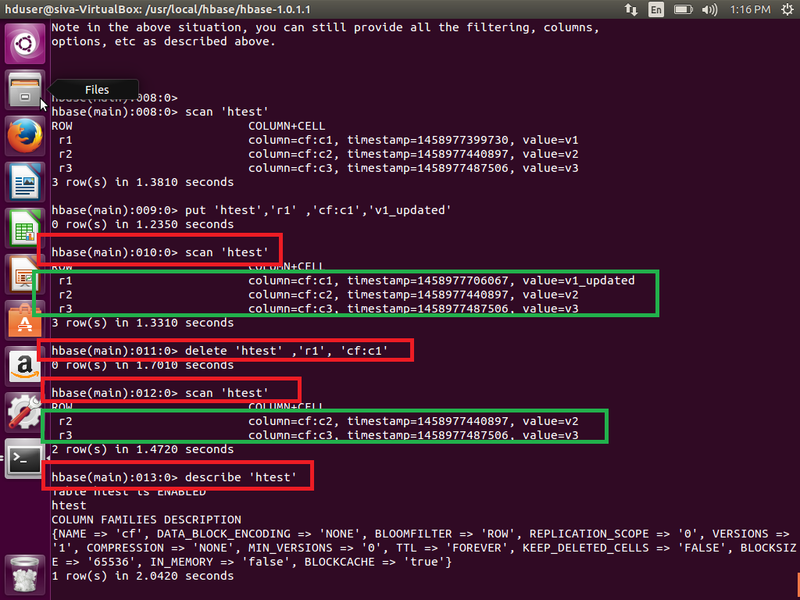 Now we will see sql operations through HBase. How to create table from java and insert the data to the same in HBase table ? //We need Configuration object to tell the client where to connect. 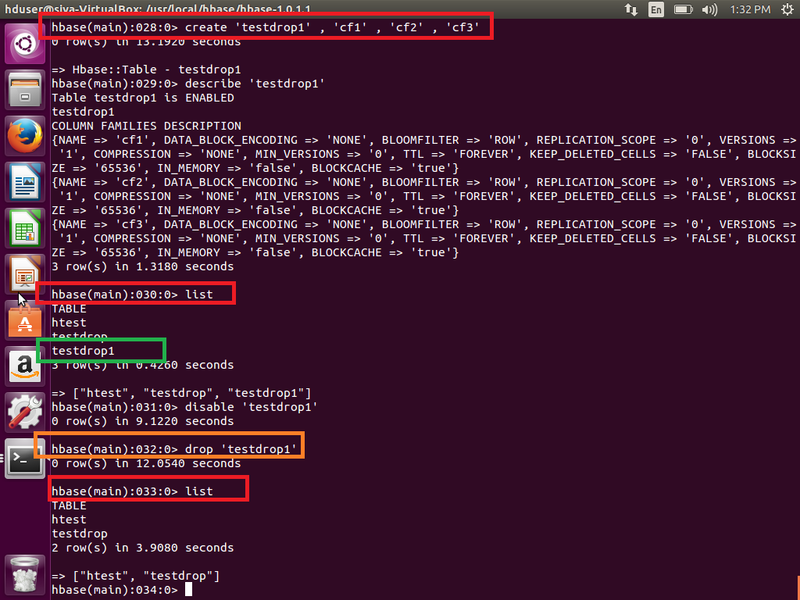 //Create a table with name  testHBaseTable,  if it is not available. //To Add a row use Put, Put constructor takes the name of the row which we want to insert into a //byte array, in HBase , the Bytes class has utility to converting all kinds of java types to byte arrays. 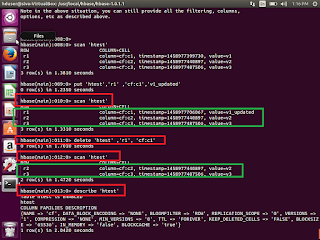 //to set the value to row , we would like to update in the row testRow . //Specify the column family. Column qualifier and value of the table. //cell we would like to update then the column family must already exist. //All must be specified as byte arrays as hbase is all about byte arrays. //Once we have updated all the values for Put instance. 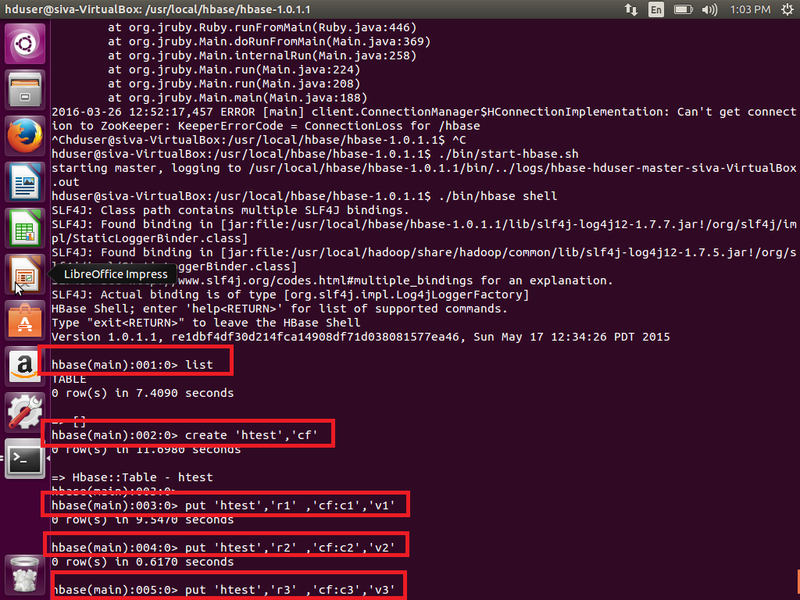 Then HTable#put method takes Put instance  //we have building and pushes the change we made into HBase. How to load data into HBase using SQOOP? 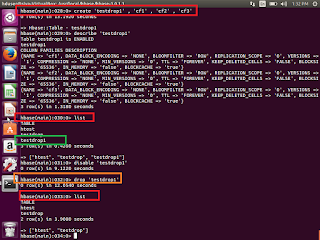 Sqoop can be used directly import data from RDBMS to HBase. First we need to install sqoop. 3. Go upto bin. then run the executing below command. 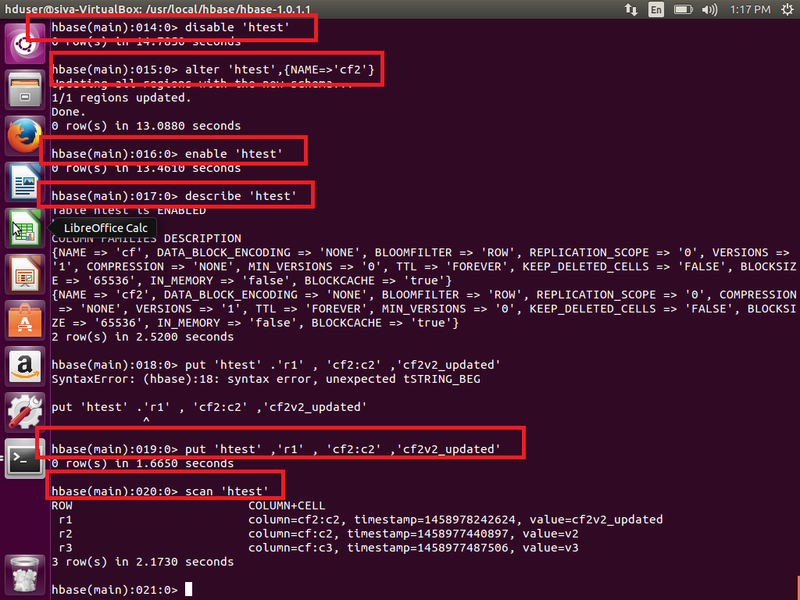 This is how we will work with HBase.